That Even The Sun Couldn't Start"
Giant spiders in my chair! Well, not really. 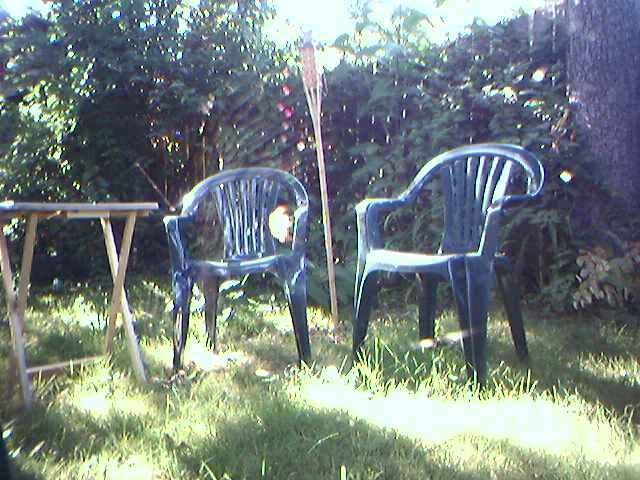 But a very small one (the yellow blob "on" the middle chair) has built a web in my yard.